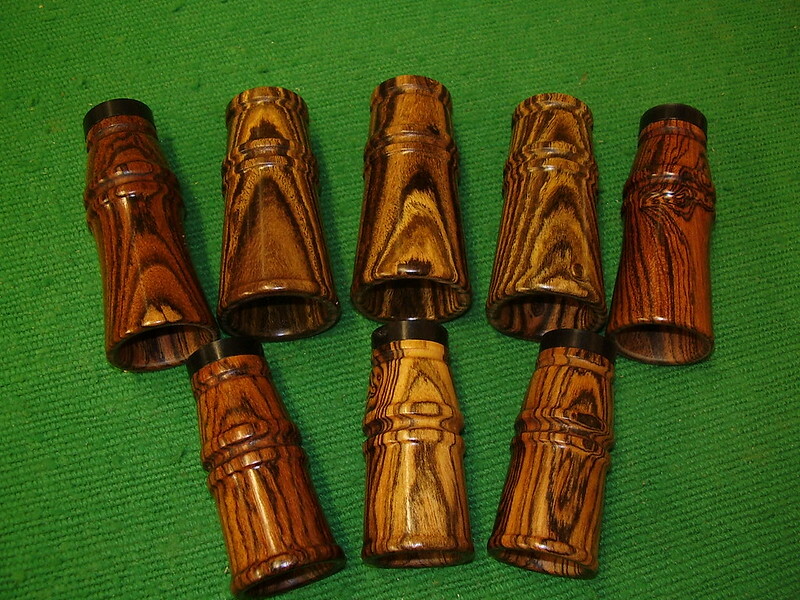 Here is a nice assortment of Bocote tube calls. 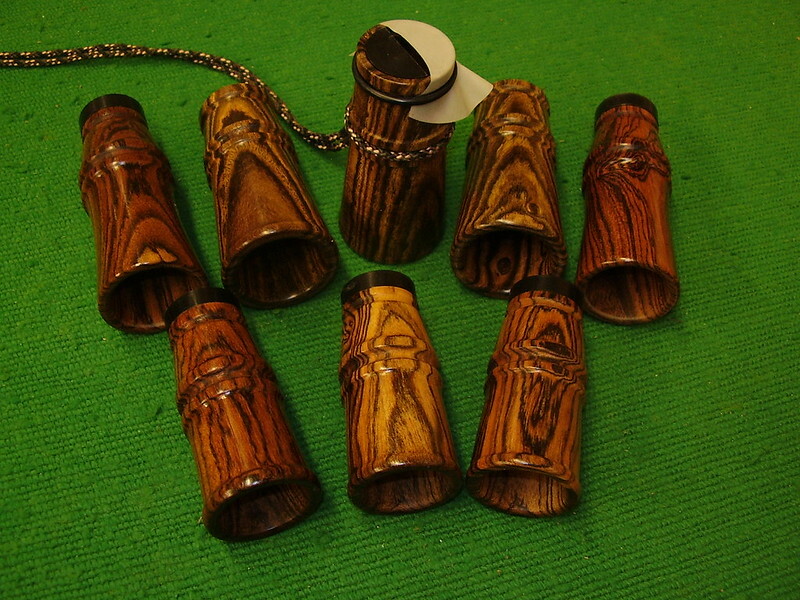 Three different sizes each producing a slightly different sound. Good for kee kees of the young hen to raspy old boss hen yelps.